Wishing everyone a happy, safe and blessed Christmas! May your Christmas holidays be filled with love and peace! The list that never ends - what a lovely way to describe the list of what we are thankful for. These gifts that enrich our lives so often come from the heart and fill our lives with love and wonder. Visit "A Holy Experience", for inspiration and for information. A week til Christmas! Wishing everyone peace and love during this final week before Christmas and all through the Christmas holidays! This past week has been a hectic one -again! At least my hubby is on the mend and back to work. At school we are busily preparing for our Christmas concert - singing 4 multicultural songs about light and peace. I am trying to finish Christmas cards - got out half of them today. The past few weeks put my agenda for Christmas way out of whack. Oh well - at least the rest of the cards should be mailed by Christmas! I haven't even started my baking yet - which in some ways is good as I would probably have been eating too many by now. Art this past week was limited to viewing rather than actually doing. I won 2 giveaways this past week for which I am extremely grateful and excited. 1. The book "The 12 Secrets of Highly Successful Women" by Gail McMeekin", a giveaway hosted by Jamie Ridler. I loved Gail's first book and I know I will love this one. A big Thanks to Jamie and Gail! 2. A planner pad from Glenda Myles, of "Myles Ahead", who is hosting a wonderful "planning for 2012" workshop over 4 weeks. I am loving it! Today is the last check-in. We have now finished the book, with this last chapter. Chapter 12 is very encouraging. "Each of us has an inner dream that we can unfold if we will just have the courage to admit it. And the faith to trust our own admissions." "Our truest dreams for ourselves is always God's will for us." "There is a path for each of us. When we are on the right path, we have a surefootedness." I love the idea of the God Jar and placing all our doubts, fears, worries into it. Then we can truthfully say - "God's got it". I now will have to reread the book and complete many of the tasks I skimmed over. This will be a 2012 task. I also intend to do a much better job of the morning papers as I reread this book. It has been a very worthwhile journey through the book with such a supportive group of people. Thank you to all of them who have made this a wonderful journey of discovery. 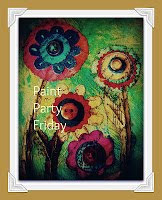 Check here to stop by and visit at Paula's blog. Time for sharing of shadows - that super fun meme created by Tracy at Hey Harriet! We have new hosts for Shadow Shot Sunday with a new logo! Here it is mid December and we were getting crazy weather - lots of sun too. Couldn't resist the tree shadows across the street. This little angel was a fundraiser for a local business and I couldn't resist the faint shadow she cast. This last shot was taken before I put on the flash - I like this shot though of our old cat cast in darkness. Be sure to check here for awesome shadow shots from around the world. There are several more book challenges that have really appealed to me. Here is a summary and what I hope to accomplish in 2012. It will definitely be a "reading" year! I’ve been trying to incorporate more Canadian writing into my 2012 reading list so I’ve decided to spotlight winners of Canadian literary prize. I’ve chosen what I think are the most heralded of Canadian book honours: the Governor-General’s Award for Literature and the Giller Prize. Because the Giller hasn’t been around all that long, I’ve added in the prestigious Canadian Authors’ Association Literary Award. I’ve picked the main fiction category in all of those. 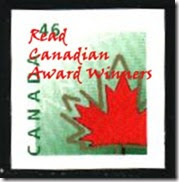 In addition, the Amazon.ca (formerly Books in Canada) First Novel Award is widely-known and, over the years, has brought to the forefront many who have become major players in Canadian literature. Finally, I can’t host this challenge and not promote my adopted home, Nova Scotia, so I’m also drawing attention to the Atlantic Book Awards’ Thomas Head Raddall Atlantic Fiction Prize. Be sure to check here for more information. I thoroughly enjoy a good mystery. I have read all of Sue Grafton books (except for the last which I am sure is under the tree! ), most of Kathy Reichs and am just beginning reading Louise Penny's. I am choosing the first level and so plan to read 12 books for the year - one a month. Welcome to the Mystery & Suspense Challenge 2012! I didn't do very well this year (again!) even though it is my own challenge, but I hope to do better this in 2012. However, it seems many of you did very well, so congratulations for completing the challenge. For those of you who were more like me, here's your chance to beat this challenge! As a teacher I am always on the lookout for good picture books that can inspire children to write and to think. This challenge is a natural fit. I plan to select Level 3 and read 24 picture books during the year. 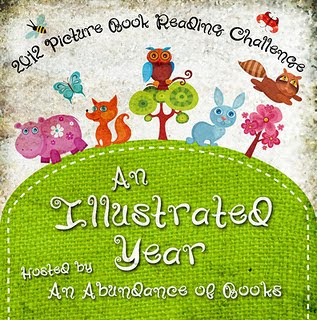 A few of us participated in my picture book reading challenge during 2011. I had a fun time with it and wanted to give it another try. I love picture books, and was collecting them long before I became an elementary librarian. Sometimes it's the story, sometimes the illustrations, and a lot of the time it's the fun of reading them out loud to kids that makes picture books so enjoyable. I thought it would be fun to create a reading challenge for this shorter, though just as entertaining, genre. Picture books are a great way to share stories and the experience of reading with children. If you're reading the books with kids, I encourage you to add their opinion of the books as well! I love the way the family at Bookie Woogie reviews books. That being said, not all picture books are for children. Picture books for older audiences are also welcome. I will be using the thumbnail inLinkz form for participants to link their monthly reviews to. This way we can see the books you've reviewed! · IF YOU BLOG: Please make a post on your blog about participating in the challenge. Then use the URL for your CHALLENGE POST when signing up using the inLinkz below. 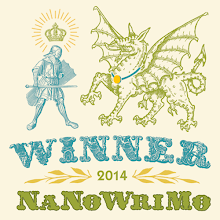 IF YOU DO NOT BLOG: Please link to your GoodReads, Library Thing, or similar profile. · You must add the button to your sidebar - make sure that it links back to this post so others can join the challenge if they wish. Just copy and past the code displayed below! 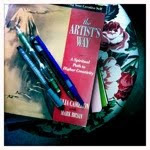 · You don't have to select your books ahead of time, you can just add them as you go. If you do list your books in the beginning, you can always change them later on. · Crossovers with other challenges count. · Re-reads count as long as you read them in 2012 and you post a new review for the book. Be sure to check the post here for more information. There are so many good young adult novels and I do read these for my class. Another good fit. I am aiming for the first level - 12 books for the year. (I hope to read more though. I know, I know - it does seem like a lot of reading and a lot of challenges. But this past year, I really did miss reading. I did not read what I had hoped. The "Off the Shelf" challenge will provide a lot of the titles for the other challenges - so there will be overlap. Check out here for a great overview of hundreds of book challenges. The first thing that struck me was that I wish my 60's to be happy, healthy and productive. I wish for joy, peace, and contentment. A simple wish but one that will require me to work especially on my health. "You can be a maker of magic and a tender of wishes. It’s easy. Answer the wish prompt above on your blog. Support wishes by visiting other participants. It’s that simple. There is great power in wishing together." 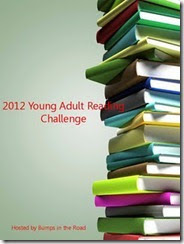 While visiting a new blog, I rediscovered book challenges. I had signed up last year but life (and especially school) interrupted the direction of my reading. I still read, but needed different books. There are so many book challenges this year and I am eager to take part in several of them. One in particular (Off the Shelf) will help me clear my shelf of many books that are just gathering dust! My biggest weakness is books. I have well over 1000 here at home and an equal number at school. Every time we enter Costgo, I vow I will not buy another book. I usually end up with 2! What I especially like about these are that they're supportive of what you do accomplish. I hope in the end that I have read many different genres and that my shelves have room for new books! My goal is to read 15 books (Trying level). I will be able to use many of these books I hope with other challenges. The goal though is to clear my shelf!! 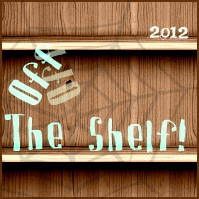 This is the second year running for Off The Shelf!, with last year being an overwhelming success (over 300 participants), and we hope this year it does just as well! There are some differences this time, thanks to a new year, new place, and some experience. Have a read below, if you have any questions ask away, and the most important part of it is to have fun! For more information and to sign-up, please check this post. This may be the only way I will achieve a Master's degree (lol), so I am aiming high on this one! - Books can cover many different topics, including science, technology, religion, sociology, business, biography, politics, economics, history, food, art/design, etc.- How-to, self-help and travel books are permitted, as long as you actual read them cover to cover, and don't just use them as a reference. Details:- Write a starting post that states which level you will be working toward, including a link back to this post. You can include a list of books, but it is not required. 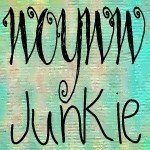 Link to your post in the Linky below.- If you don't have a blog, leave your information in the comments on this post.- Reviews are not required, but I will have a post set up where you can link up to your reviews throughout the year.- There will be quarterly update posts to which you can link up, and at least one giveaway at the end of the year. I may host others throughout the year as well. [Note to authors: I'll gladly accept your nonfiction books as giveaways. ]- A wrap-up post at the end of the year will be required to be considered for the final giveaway. 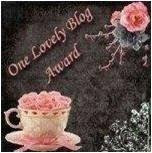 If you don't have a blog, you'll need to comment on the wrap-up post with your accomplishments.- You can sign up for this challenge through November 30, 2012.This is my first time hosting a year-long challenge so please let me know if you have any suggestions or questions! And here's a button to grab for your sidebar. For more information and to sign-up, please check post here. I love the idea of this challenge. Most of the time I read the book before I watch the movie. 1. Movie is more famous than the book: "Time Traveller's Wife"
2. to a TV series: "Jane Eyre"
4. with favourite actress: "Julie and Julia"
5. book classic made into a movie after 1990 : "Emma"
6. book written for the movie: "I am Number 4"
7. from an author not of your home country: ? 8. about love and you'll probably cry: ? 9. social issue: "The Help"
10. story from over a 100 years ago: "The Pillars of the Earth"
11. playing in Asia/Africa or future: "Memoirs of a Geisha"
12. movie coming out in 2012: "The Hunger Games"
The goal for this challenge is to read a book/ watch a movie in each of the 12 categories, which are further down, during the year of 2012 (01.01.2012 – 31.12.2012) + 1 bonus category, if someone can’t find a book in one of the 12 categories..
You want to join? :Then please write me an e-mail to: martina.bookaholic@gmx.net with your book choices with the category #number and your blog address and the name, which I should use in this post. I love memoirs and this challenge looks perfect. I am aiming for: the Autobiographer level. It's back again for the 3rd year! 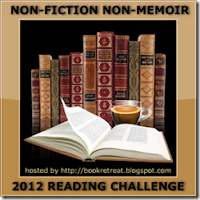 If you love memoirs or if you simply want to add more memoirs into your reading life, then the 2012 Memorable Memoirs Reading Challenge is for you! What Counts as A Memoir?I know there's a difference between memoir and autobiography, but for this challenge, we're going to define memoir as a record of events written by a person having intimate knowledge of them and based on personal observation. The Rules:Books, e-books, audiobooks, ARCs, NetGalley books are allowed. Overlaps with other challenges are also allowed. You must select a level. You can increase your level, but you can't go back down. The Dates:January 1 - December 31, 2012. You can sign up anytime between now and throughout 2012. For more information and to sign-up please see this post. 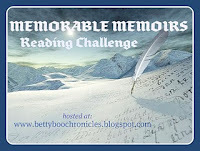 Check here for a huge overview of hundreds of book challenges. It is a fantastic resource. t is time once again to express gratitude for the many wonderful things that have happened this past week. It is sometimes the simplest things that bring the most happiness. Time to share shadows - that super fun meme at Hey Harriet!, created by Tracy. 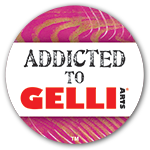 It is definitely addictive! last night, I saw Christmasy shadows and of course had to grab my camera. Be sure to join in the fun here! 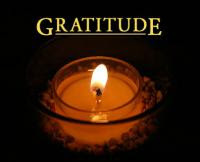 Once again it is time to express gratitude for the many wonderful things that have happened this past week. It is sometimes the simplest things that bring the most happiness. It has been an unsettling week. My hubby had surgery Monday, was in hospital for 2 nights and then went back yesterday. He is doing okay - just some complications. We missed 2 special Christmas celebrations and decorating our tree. At least it is up - with lights. And we have gotten some extra time together. Even sat and watched "Larry Crowne" last night. I have read a lot this week ( I discovered and read "Kate Morton's "The Distant Hours"), with just a bit of art done . After 2 1/2 days away from school, my class were quite happy to have me back Thurs. (and I was very happy to be back). Now we just have to wait for follow-up and for my hubby time to heal. I did a few more tasks with Chapter 11. It was by far the most enjoyable. My journal is slowly filling up with lists and tasks done. I still have to go back and do a number of tasks throughout the book. My art dates were the few times I actually got to create art. The morning papers still elude me. I was able to write a few times at night - still my preferred time. It is hard to believe there's only one chapter to go. 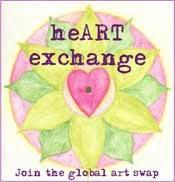 I took part in the "Heart Exchange" through Louise Gale's blog. What a lovely experience. We each had a partner for whom we made something from our heart to theirs. I received a gorgeous heart book from Jenna. What a thoughtful gift - one that I am going to use to inspire me in 2012! There is so much available to help in planning for 2012. 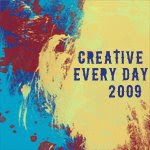 I just signed up for Ali Edwards "One Little Word 2012" online course, which will run all year. 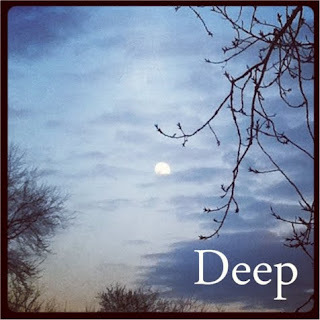 I have been choosing a word to help guide me with intention throughout the new year for a couple of years. For 4 weeks in December, at "Myles Ahead", you can start a weekly process of visioning for the year ahead. The 100 questions exercise was very interesting and has resulted in 10 questions/themes I hope to pursue in 2012. Reverb 2011 has begun again, although through a different organizer than last year. With all three of these groups, the primary goal has been to choose a word of intention for 2012. I made a preliminary list of 20 words and have finally chosen my word. 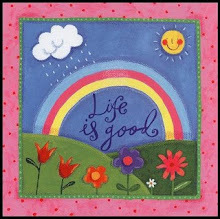 Actually, it is one small phrase, as it encompasses so much of what I want 2012 to be. I turn 60 in early January and so begins a a new decade, one that I want to be healthy, eventful, and exciting. The phrase is "Seize each day" from the Latin "Carpe Diem". (A fellow teacher has this as her license plate and I always feel it deep inside when I see it.) It can mean so much. I hope it forces me to reach out and do more and see more. The 2 ATCs I created above hold 2 quotes that very much fit this phrase.